We're excited to announce our upcoming pop-up shop at Anthropologie! 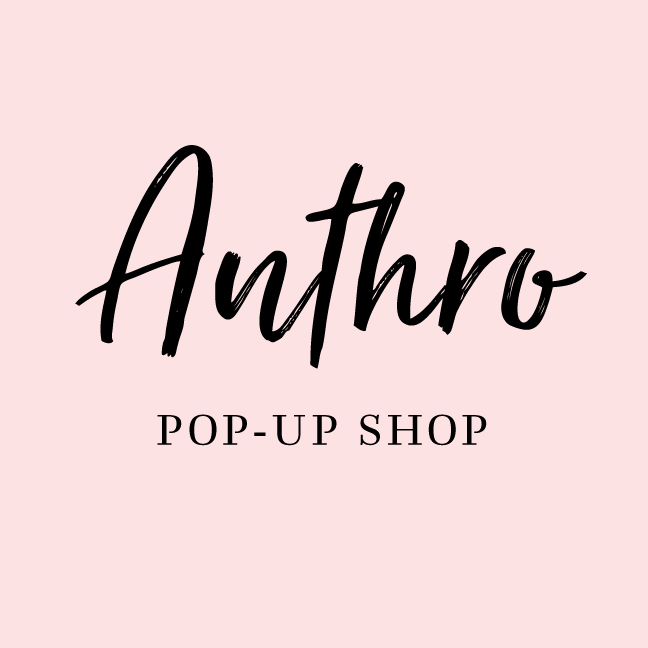 Join us on Saturday, 7/29 from 12–4 pm at Anthro & Co.'s beautiful new Walnut Creek store for their summer pop-up event featuring local makers. We'll have letterpress greeting cards, stationery and more on hand during the event. We hope you'll stop by and say hi! We love working with couture clients, and it's always exciting for me when a client comes along who is open to uncommon color palettes and design elements. 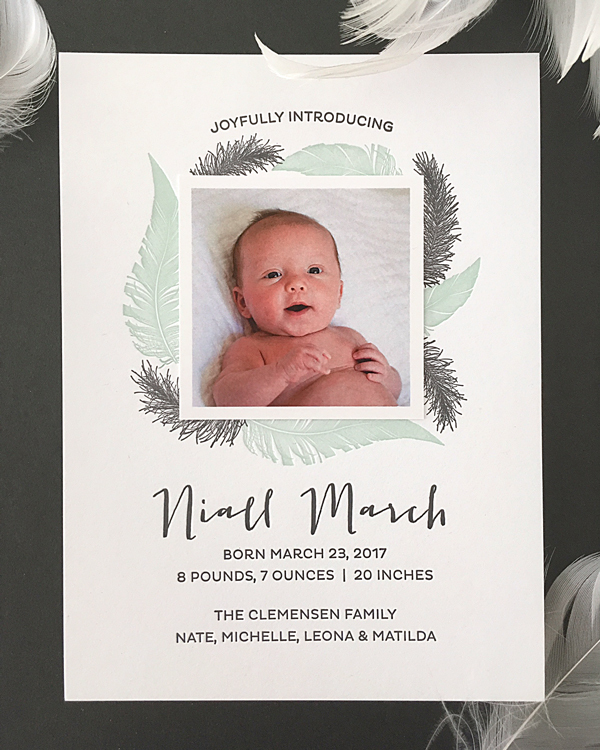 My client Michelle wanted something different and unexpected for her baby boy Niall's letterpress baby announcement. A traditionalist at heart, she knew she wanted to include a photo, but still reflect the hip style of the nursery which featured a black crib and a large photo of pigeons in flight. 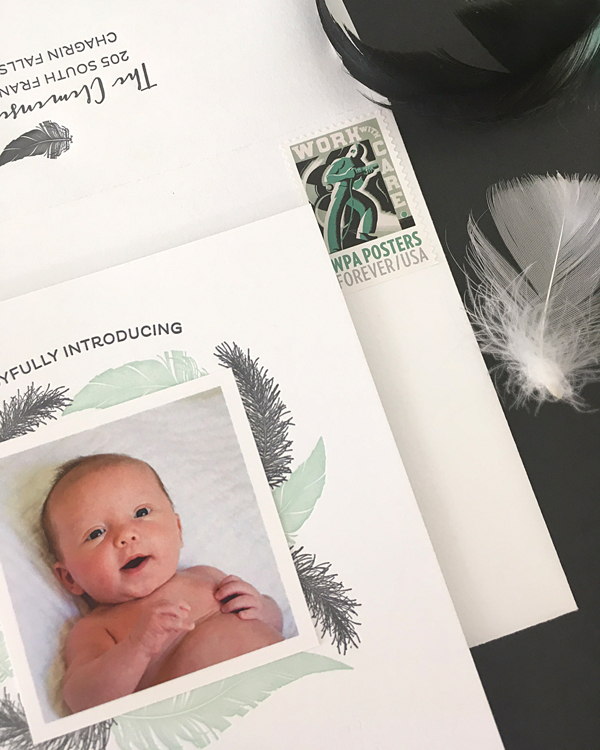 Niall's custom birth announcement design features a feathery frame in charcoal gray and sea glass green, the perfect backdrop to nestle a small square photo of this sweet baby boy. 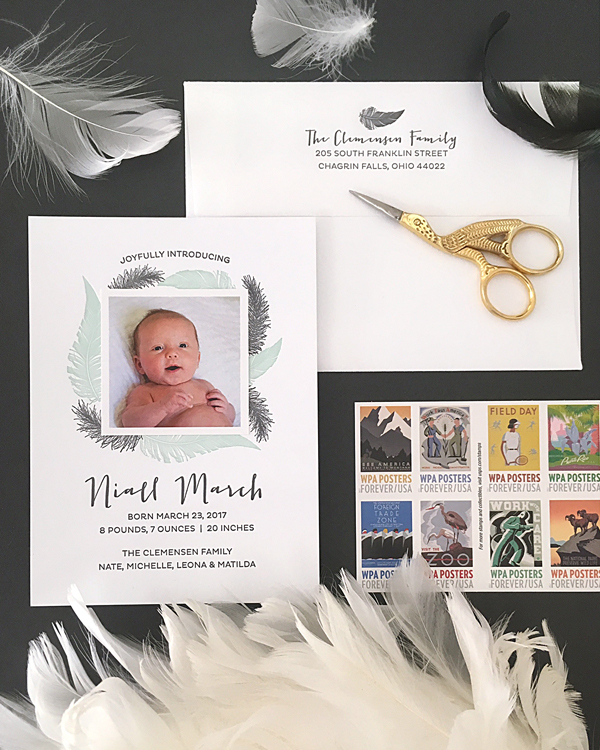 I designed a coordinating return address for the envelope flap with a feather motif, just a hint of what would be inside. 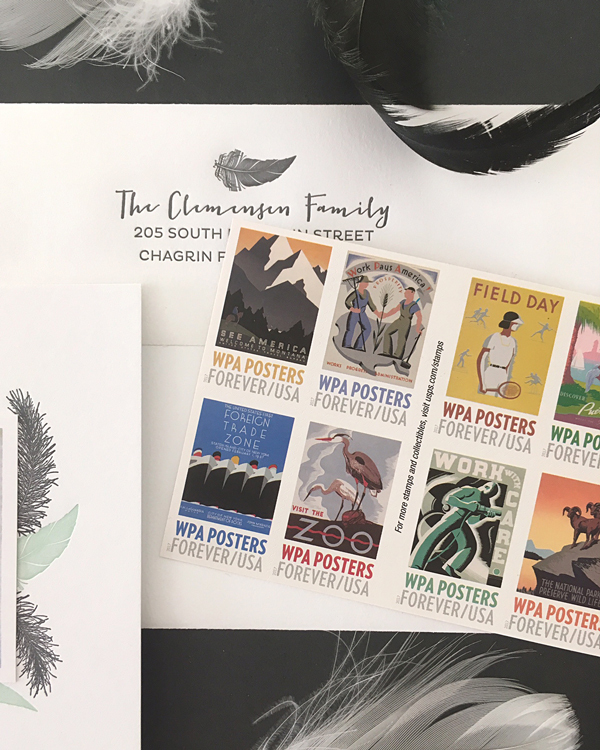 The WPA Poster stamps were a natural choice for postage and coordinated perfectly, with their vintage color palette and boyish motifs. 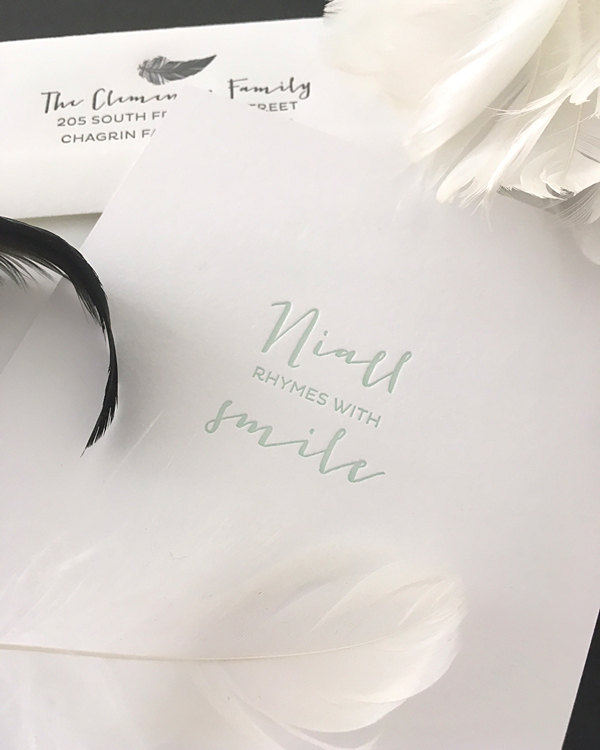 My client chose to add a little message on the back of the cards–Niall rhymes with smile–to ensure correct pronunciation of his name. Congratulations to Michelle and family! 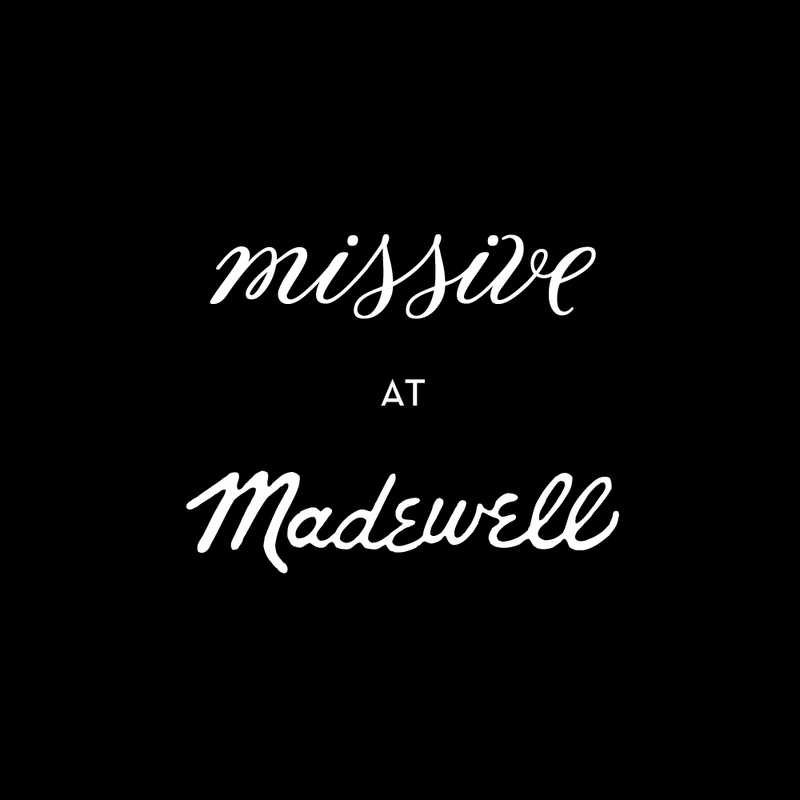 We're excited to announce our upcoming pop-up shop at Madewell–one of our favorite brands! Join us on Saturday, 6/17 from 2–4 pm at their beautiful Walnut Creek location for a Father's Day weekend event. You can enjoy sips and sweets while you shop our line of letterpress cards, stationery, limited edition art prints and more, just in time for Father's Day. Also, you'll receive 20% off your Madewell purchase of $125 or more—how cool is that? We hope you'll stop by and say hello! 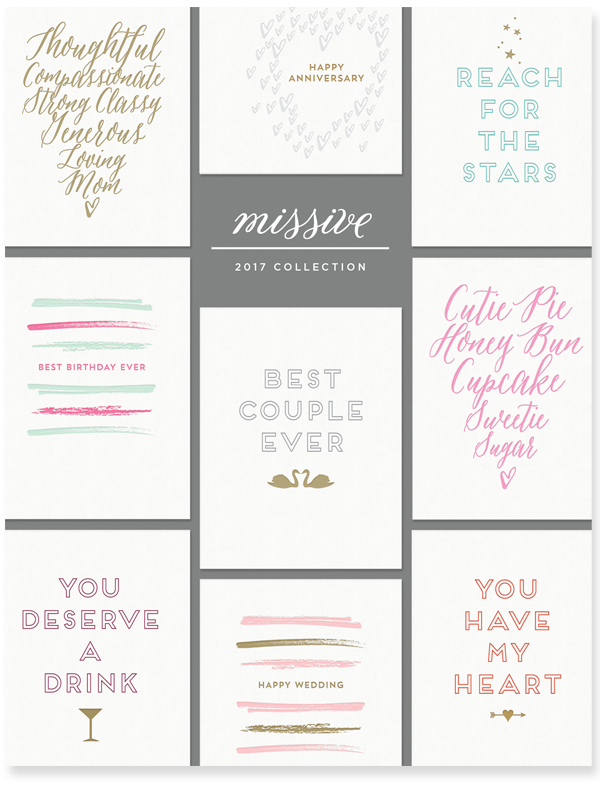 We've been very busy this spring creating lots of new letterpress cards and stationery and we're happy to announce that our wholesale catalog is now available. If you are a stockist interested in our high-quality, handcrafted letterpress goods for your shop, contact us and we can provide you access to our catalog and wholesale site.